One of the first acts of President-elect Muhammadu Buhari's new government will be to establish a clear regime of accountability and transparency in managing the country's oil and gas revenue, a senior member of the transition team told Africa Confidential. The team thinks it critical to establish the new government's credibility and rebuff overtures from local and foreign vested interests which want to blunt and obstruct its anti-corruption drive. 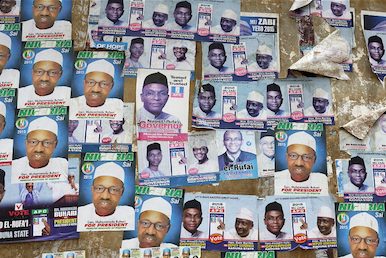 The government-elect taking shape in Nigeria under General Muhammadu Buhari will have to contend with meeting not just the expectations of its own citizens but the high hopes of the wider continent. For almost a decade, there is a feeling of an ideas vacuum at the heart of Africa’s leading countries: Nigeria, South Africa, Egypt and Kenya. Although all four have benefited from the wave of high economic growth that has lapped across Africa in recent years, all four have been struggling to convert that into jobs for the swelling ranks of school-leavers and to tackle worsening insecurity and criminality. And their own political systems are mired in corruption. That is why Buhari’s promise to stop the rot in Nigeria, reinforced by his personal asceticism, is drawing attention far beyond its borders. A more youthful and martial Buhari had the same ambitions 30 years ago. This time, the rot has run deeper, even as the economy and population have grown. It is Buhari’s conversion to the tenets of pluralist politics – he has gone out of his way to praise Goodluck Jonathan for being the first elected incumbent to concede that he has lost an election – while retaining the stance of a disciplined general, that is intriguing Nigerians and giving fresh hope. Buhari, his policy team says, will be a ‘big picture’ president. He will ask his advisors and ministers to set up policies and systems to meet the election pledges on anticorruption, jobs and security. His team of technocrats promises the same technological flair they used in the campaign. The most difficult dossier that the new Supreme Court President, Mamadou Badio Camara, has to deal with is the appeal by Karim Wade against his conviction for illicit enrichment. The suspended Chief Executive Officer of state electricity utility Eskom, Tshediso Matona, has lost his bid to overturn his suspension by the Board of Directors.